Spring Sheep Milk’s gelato is a finalist in the World Dairy Innovation Awards. It will soon be available in New Zealand stores. Two New Zealand companies have made the finals of the World Dairy Innovation Awards, although neither managed to come away with a first prize. Spring Sheep Milk, based near Lake Taupo, was a finalist in two categories: the best ice cream or frozen yoghurt, and best dairy packaging design. Fonterra was a finalist for the best dairy ingredient. Landcorp and marketer SLC have about 3000 milking ewes on a farm near Taupo. 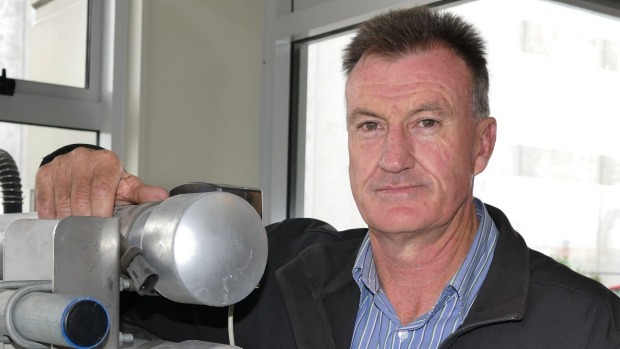 Spring Sheep Milk chief executive Scottie Chapman said it was a great achievement for the company to make the finals after just one year in operation. “It shows the industry is looking at alternative dairy. There were so many categories, but if you asked me which one I’d like to win, it would certainly be the ice cream innovation. There is a lot of kudos within the industry with these awards,” Chapman said. Most of the company’s first year’s production was turned into probiotic and prebiotic powders. About 98 per cent of products are for export, with Taiwan earmarked as the first market followed by South Korea and Malaysia. Spring Sheep Milk would soon sell gelato, sheep milk latte and butter on the local market. Chapman said consumers were looking for alternatives to traditional dairy. The creator of the gelato was Murray Taylor, formerly technical manager for Tip Top and at present a director of OOB Ice Cream. The nzicream website describes him as “Mister Ice Cream”. “When you think of your favourite ice cream there’s a good chance Murray Taylor has been involved with creating it so we approached him to help us. He’s got over 40 years’ experience but this was the first time he’d worked with sheep milk,” Chapman said. Taylor created a dark chocolate and a vanilla bean gelato and says he’s been impressed with sheep milk. Spring Sheep Milk was established in June 2015 and is a partnership between Landcorp, and boutique sales and marketing company SLC. The World Dairy Innovation Awards are in their tenth year and are designed to celebrate excellence and innovation across every category of the global dairy industry. 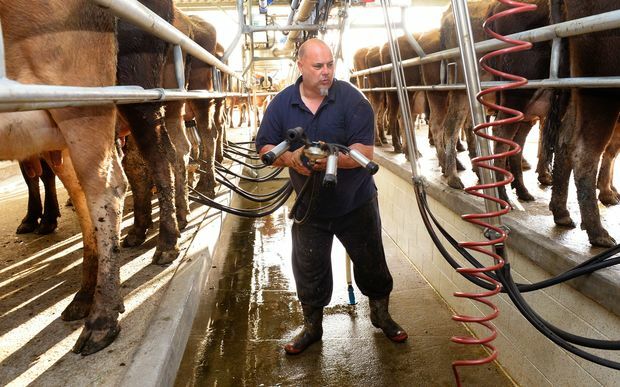 The flow-on effects of the dairy downturn is beginning to bite in Southland towns, with numerous companies reporting a downward trend in business. Dairy support companies are feeling the pinch from the low milk price payouts and unrelated businesses have also noticed farmers putting the brakes on spending. Southland regional manager for Farmlands, Harry Soper, said all Southland towns were rural service towns so the downturn was affecting everyone. The most important thing was the health and wellbeing of those affected, he said. Farmlands, which sells goods to farmers, was finding business “challenging”, but having a diverse range of other business interests was proving beneficial. 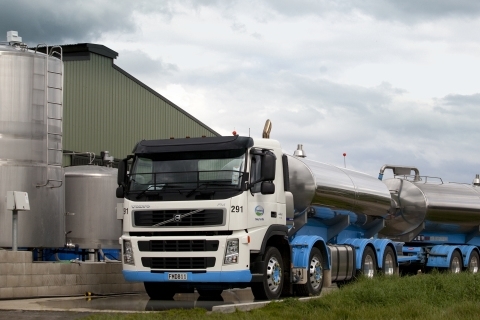 Invercargill’s Nind Dairy Services director Stephen Winter said the diary downturn had resulted in work and revenue for the company dropping significantly. Winter believed revenue for businesses servicing the dairy industry was down 25-30 per cent on last year. However, he said it was not all doom and gloom. Farming went in cycles and his business had been through such cycles during its 25 years of servicing the dairy industry. Two years ago the company built 12 new dairy sheds but they only had four confirmed this year,with two pulling out since Christmas. Winter said they had not replaced any of the tradesmen who had left in the last two years, meaning they had dropped from about 40 to 30 staff. The longer the downturn continued the harder it would be, but Winter said his company would ride it out. Ewan Allan Honda owner Andrew Allan, based in Gore, said new motorbike sales had dropped off in the first three months of this year. However, their workshops had been busier than normal, with many farmers getting motorbikes fixed instead of buying new ones. Honda was also sourcing older model motorbikes to sell to farmers, which were cheaper than the new models. “It’s time to give a bit back to farmers and that’s part of it,” Allan said. Udy’s Grain and Feed Ltd owner Ross Norman said his Wyndham business, which sells calf feed to dairy farmers, was experiencing a downturn in sales. Invercargill Licensing Trust general manager Greg Mulvey said dining numbers in its restaurants were down slightly on last year and forward accommodation bookings had softened, indicating rural sales reps were travelling less. H&J Smith chief executive John Green said one third of its clients in Southland were rural based and there was “definitely an air of caution” in their spending. Sales had been partly affected in high ticket items such as furniture and hunting apparel, but overall Green was pleasantly surprised how business had stood up. H&J was carefully monitoring the situation. Invercargill Hunting and Fishing owner Gerald MacRae said its sales had not declined during the dairy downturn, with farmers still keen to get out hunting and fishing. The rural community were positive and resilient people, he said. Fonterra Cooperative Group Ltd., the world’s largest dairy exporter, cut its milk price forecast to a fresh nine-year low as oversupply continues to depress the global market. The Auckland-based company dropped its estimate for the 2015-16 season to NZ$3.90 ($2.64) a kilogram of milksolids from NZ$4.15, according to a statement Tuesday. It now expects to pay its 10,500 New Zealand farmers between NZ$4.25 to NZ$4.30 a kilogram of milksolids inclusive of dividends. “This further reduction in the forecast farmgate milk price is the last thing farmers want to hear in what is proving to be a very challenging season,” Chairman John Wilson said. Four out of five dairy farmers in New Zealand will operate at a loss this season as the global slump in milk prices enters its third year, hurting economic growth, according to the central bank. Fonterra’s announcement comes two days before Reserve Bank Governor Graeme Wheeler is due to decide whether to cut interest rates to a fresh record low. Wheeler will keep the official cash rate unchanged at 2.5 percent on March 10, according to 15 of 17 economists surveyed by Bloomberg. Two expect a cut. New Zealand’s dollar fell after the Fonterra statement. It bought 67.73 U.S. cents at 9:05 a.m. in Wellington, down from 68 cents. Milk prices have been falling amid increased European production and weaker demand from Russia and China. Prices at GlobalDairyTrade auctions fell to a 12-year low in August and haven’t recovered significantly as the supply imbalance persists. DairyNZ and Federated Farmers are holding a series of meetings for sharemilkers as dairy farmers come under further pressure from lower forecast payouts. A sharemilker typically owns the herd and milks the cows on someone else’s property for a share of the farm gate milk price. Federated Farmers dairy chairperson Andrew Hoggard said a meeting was held in Southland yesterday and more were planned for the Cantebrury, Manawatu, Taranaki, Waikato and Northland regions in the coming weeks. The meetings were to provide advice and information on sharemilking and show the options available. “Progression pathways, what do they look like? Mr Hoggard said the meetings were trying to stimulate discussion between sharemilkers and farm owners on what they should be thinking about and working together on. He said the industry still had a positive long-term outlook and that also needed to be a focus. “Things will change…and keep on evolving, like they always have, but I don’t want everyone to get too wrapped up in the negativity and doom and gloom.